Preheat the oven to 350°F and gather the rest of your ingredients. Combine the bacon, cheese, cream of chicken soup, sour cream, milk, salt and pepper in a large bowl. 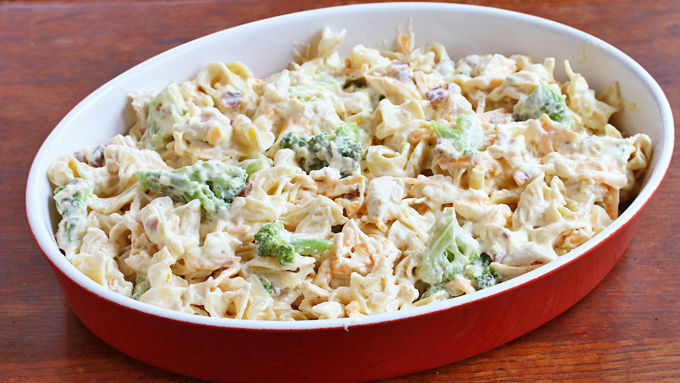 Carefully stir in the chicken, noodles and broccoli. Pour into a lightly greased 9x13-inch casserole dish. Combine the breadcrumbs and butter in a small bowl. 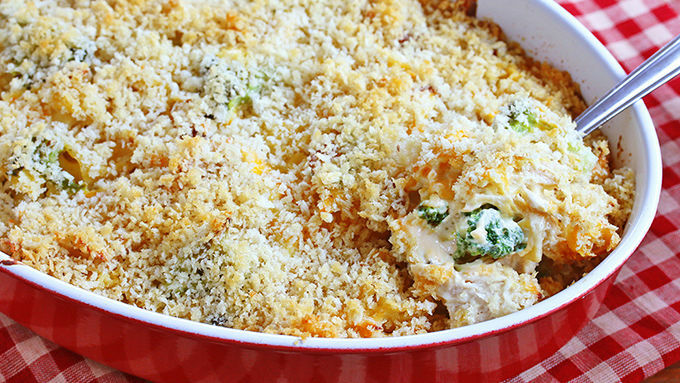 Evenly sprinkle the breadcrumbs over the casserole. Cover with aluminum foil and bake for 30 minutes. Uncover, increase the temperature to 400°F, and bake another 5-10 minutes or until the breadcrumbs are golden. 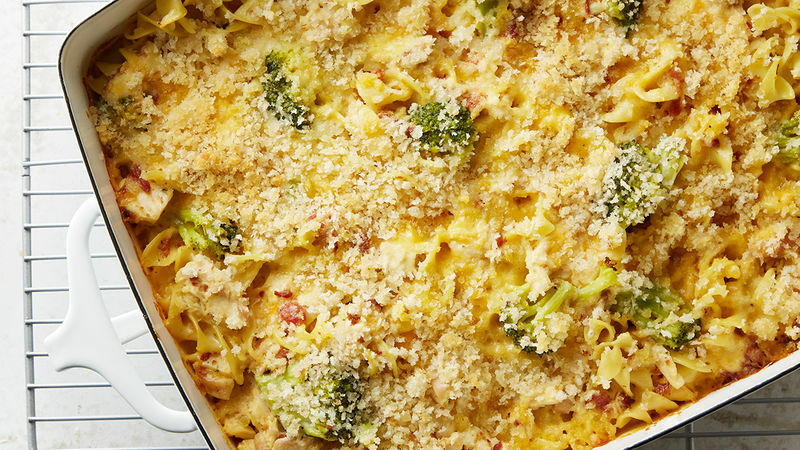 This super easy throw-together meal is perfect for a weeknight dinner. This is for those days when you’re craving comfort food but don’t have the time or energy to put much effort into cooking. To save you time, effort and dirty dishes, use rotisserie chicken, packaged real bacon bits, and Green Giant™ Steamers Broccoli to steam the broccoli right in the bag. 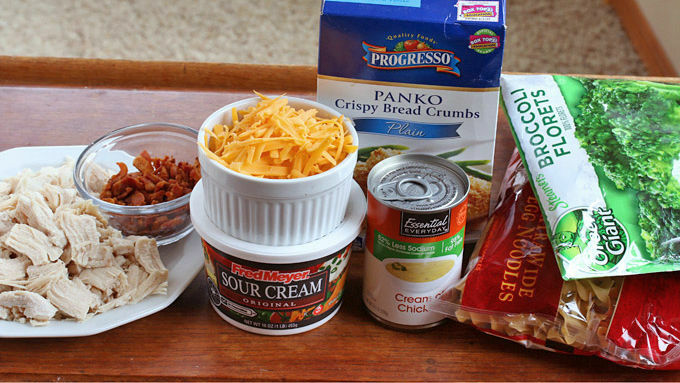 Then all you have to do is combine these ingredients with the sauce and pasta, pour it into a casserole dish and top with panko breadcrumbs, bake and then EAT! The result is a cheesy noodle dish that’s enough to feed a family or provide you with leftover comfort food for the next day. Enjoy!